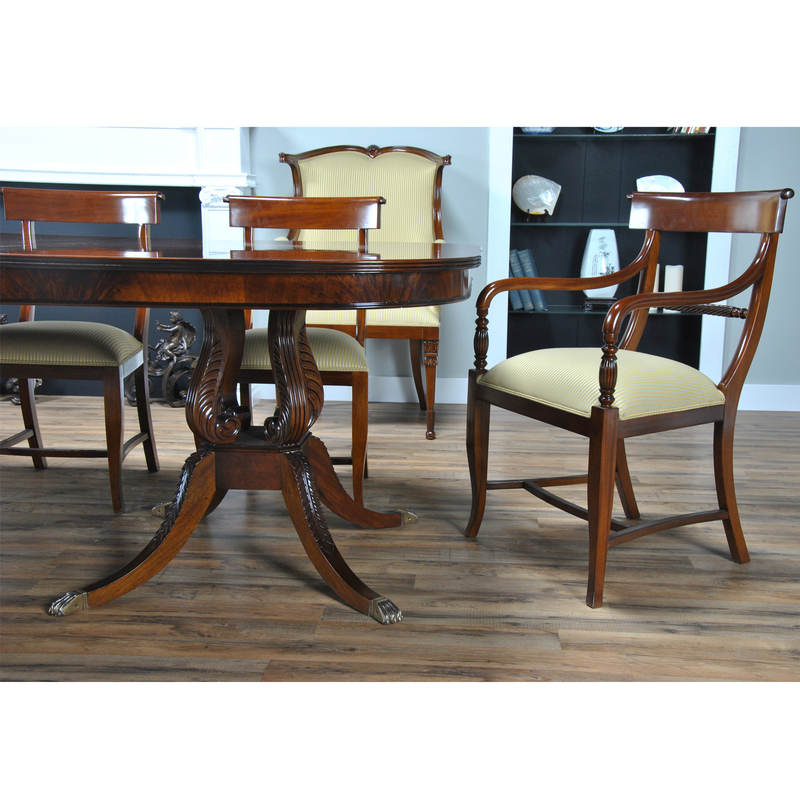 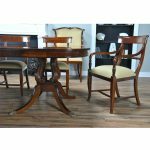 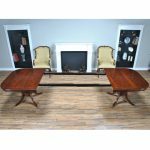 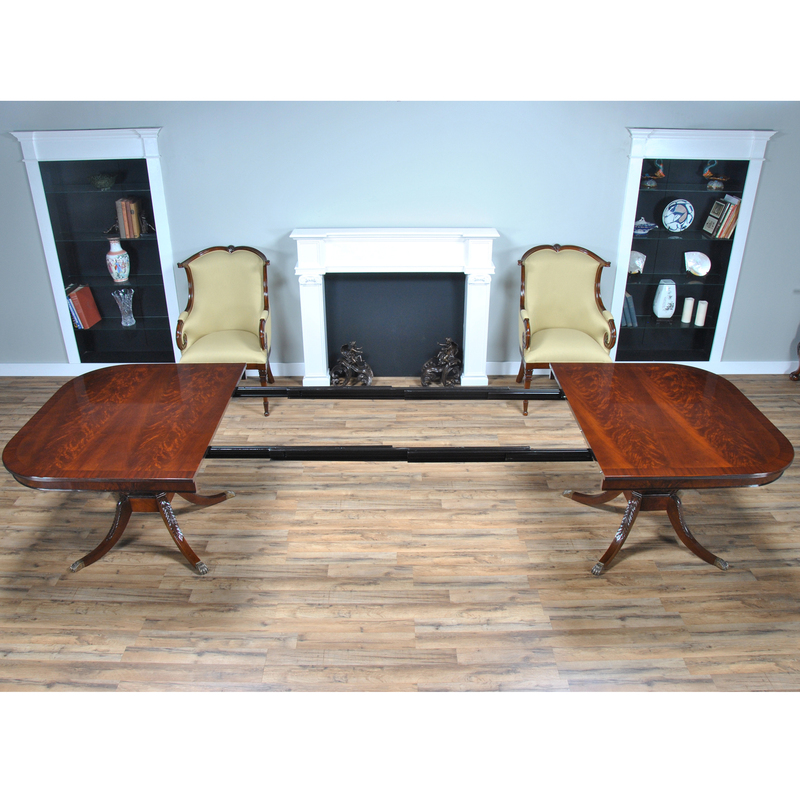 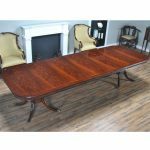 The Long Harp Base Dining Table by Niagara Furniture. 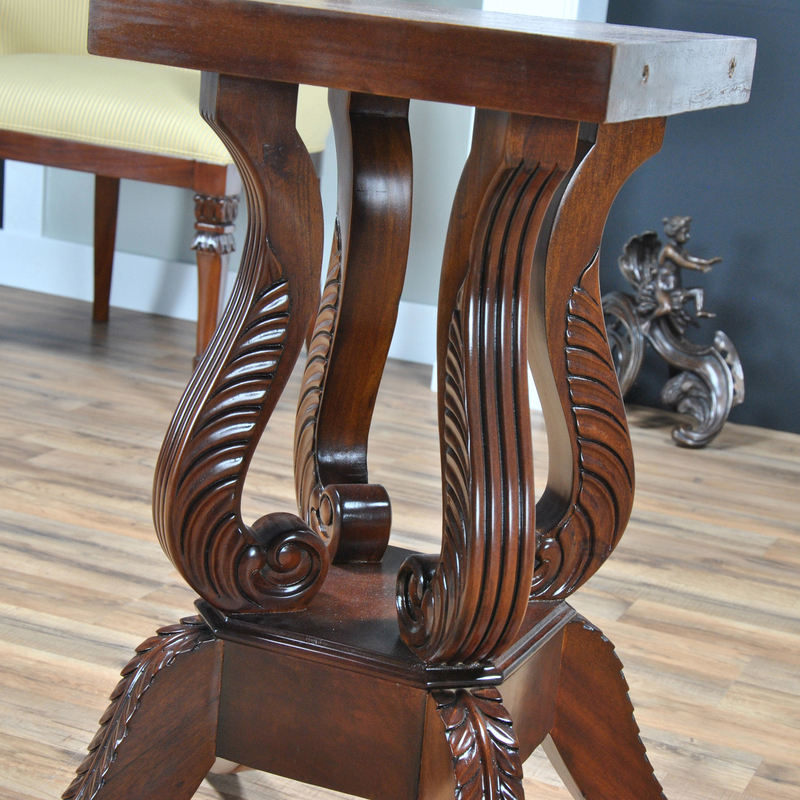 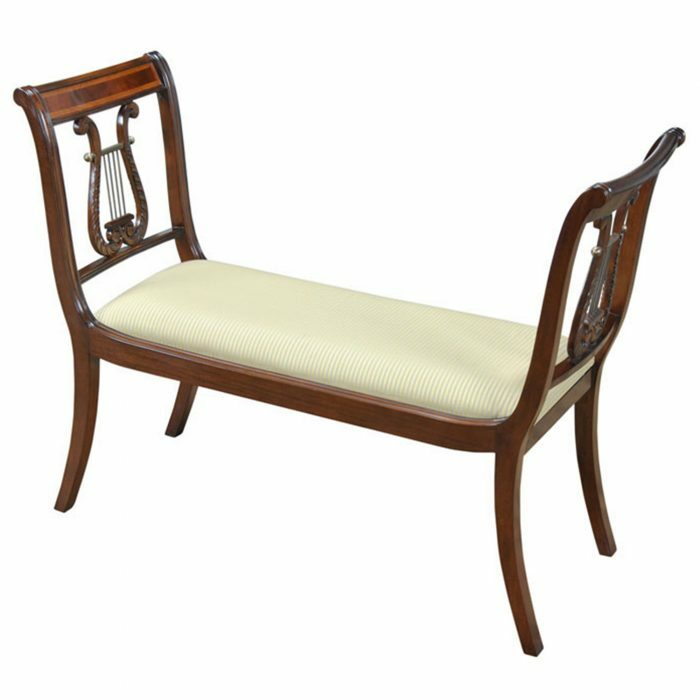 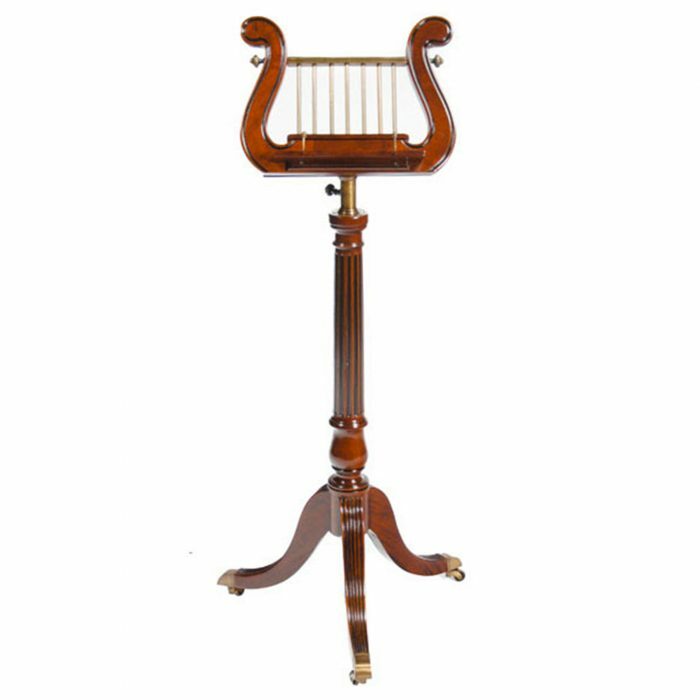 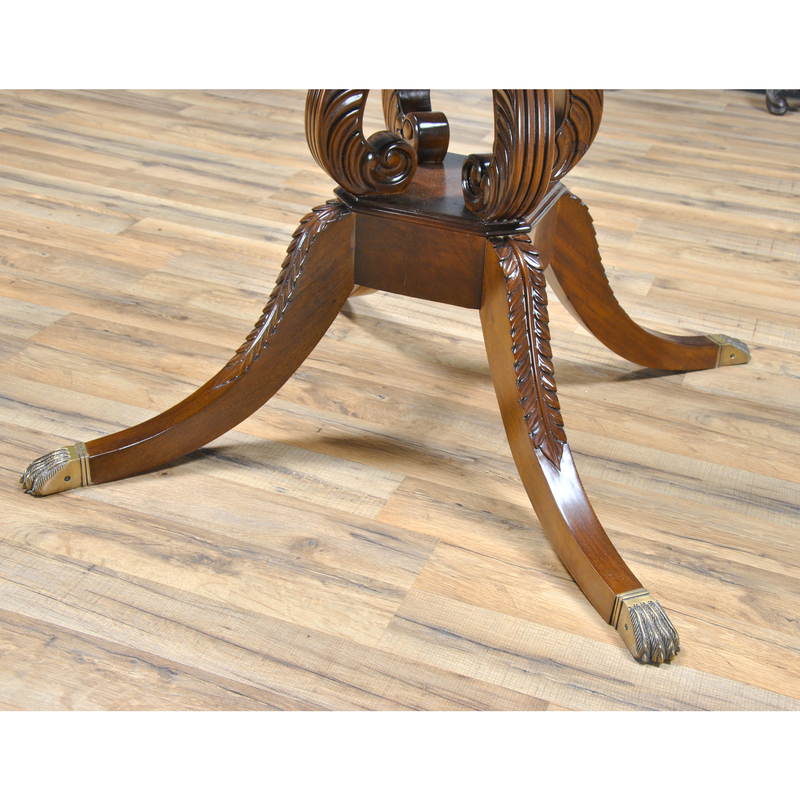 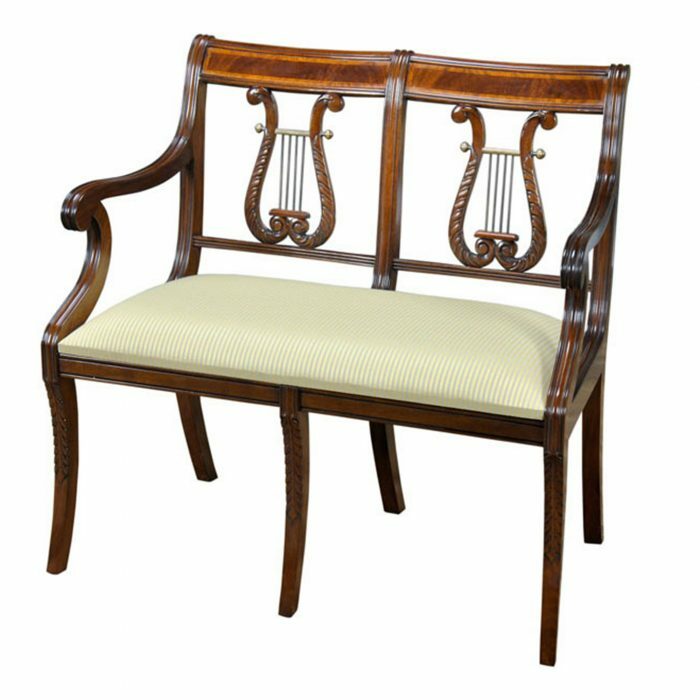 Resting on our very popular lyre shaped pedestals this table has a lot of bells and whistles. 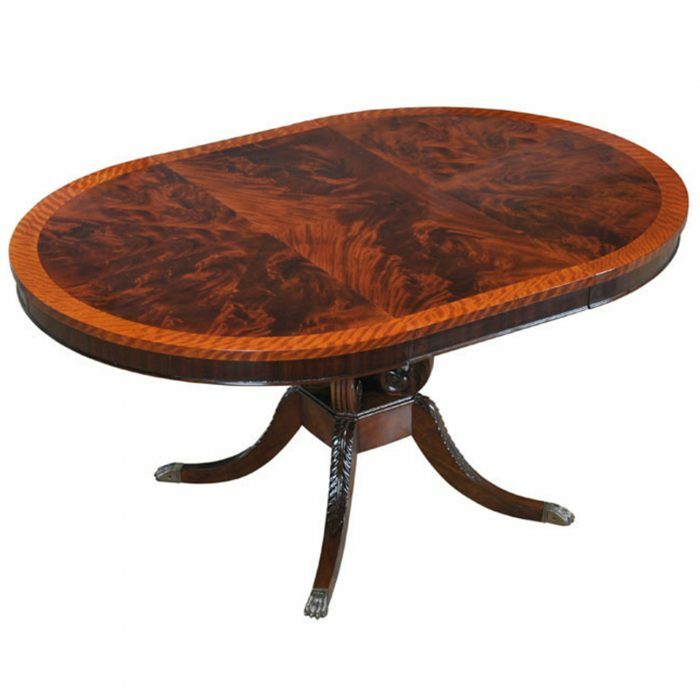 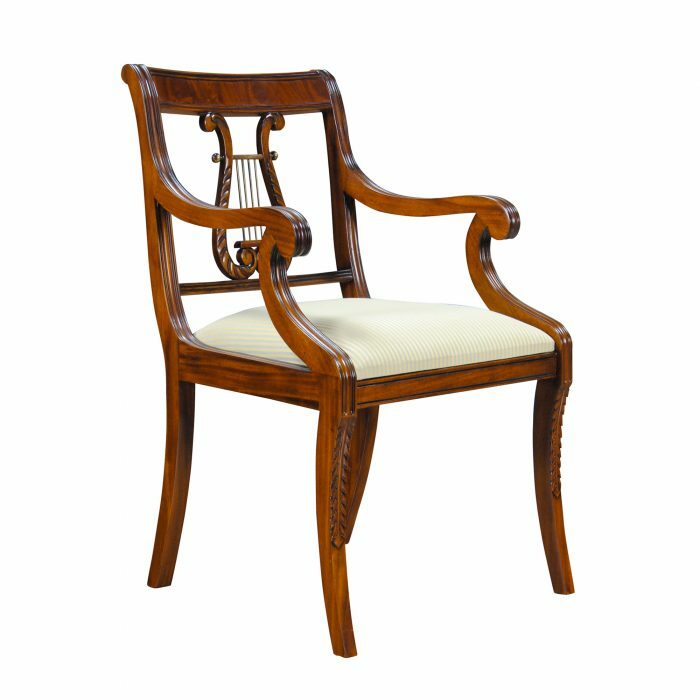 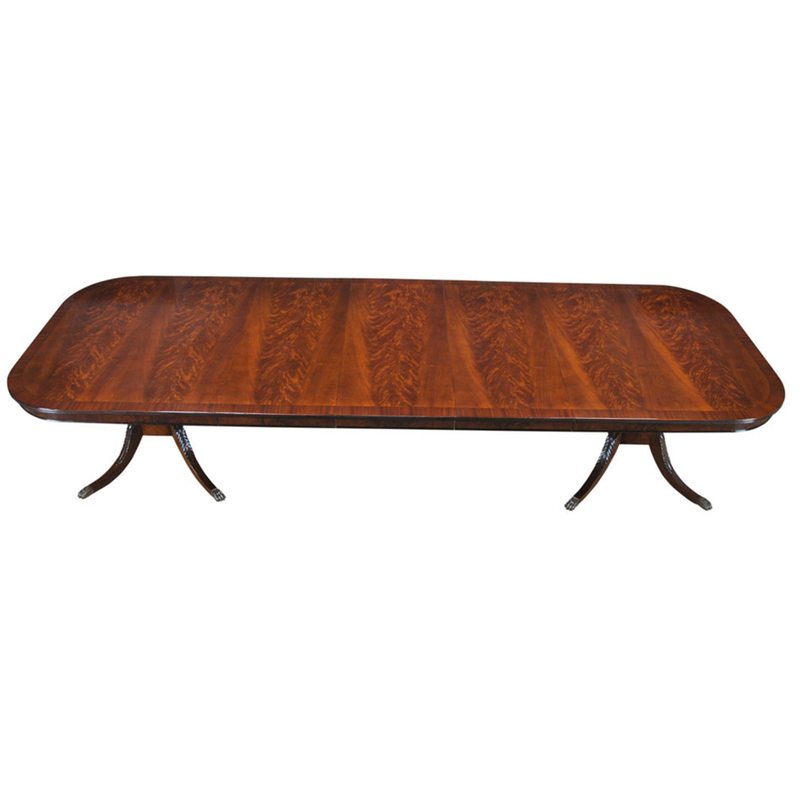 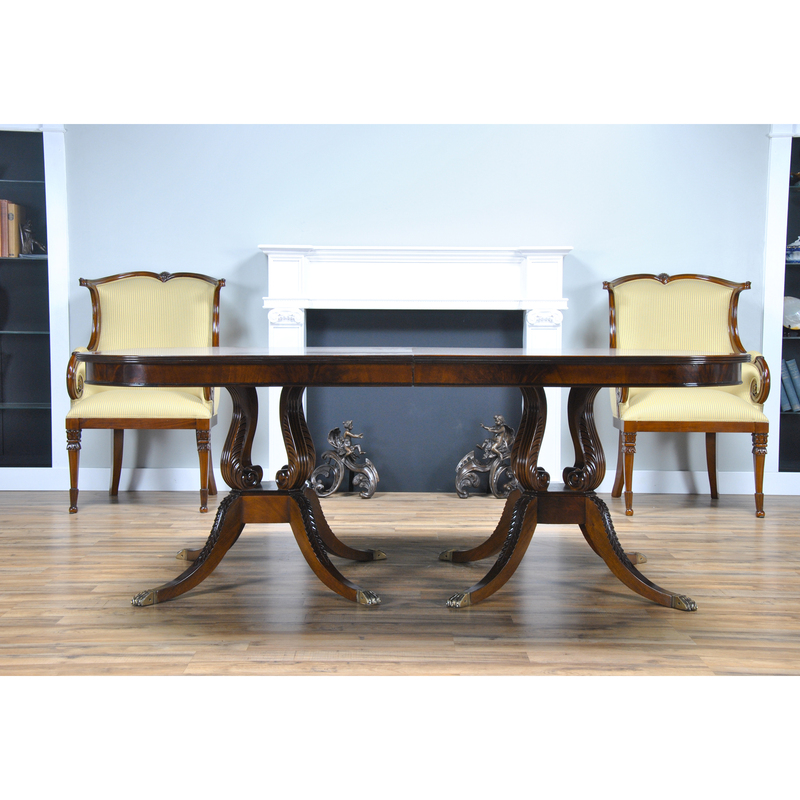 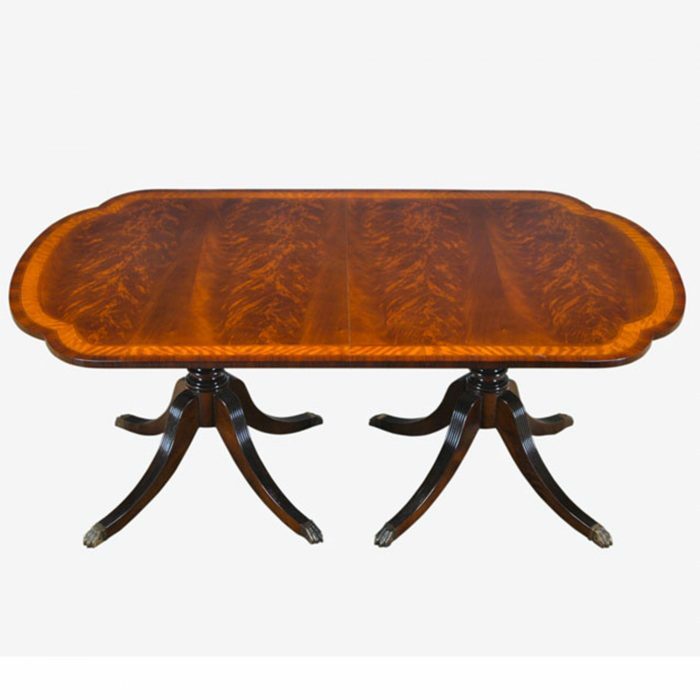 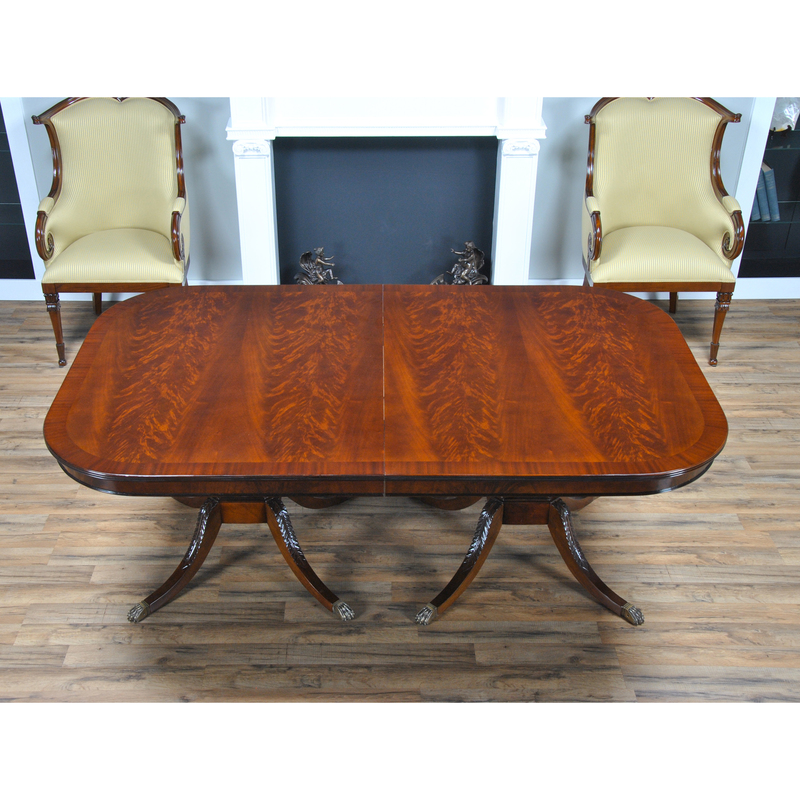 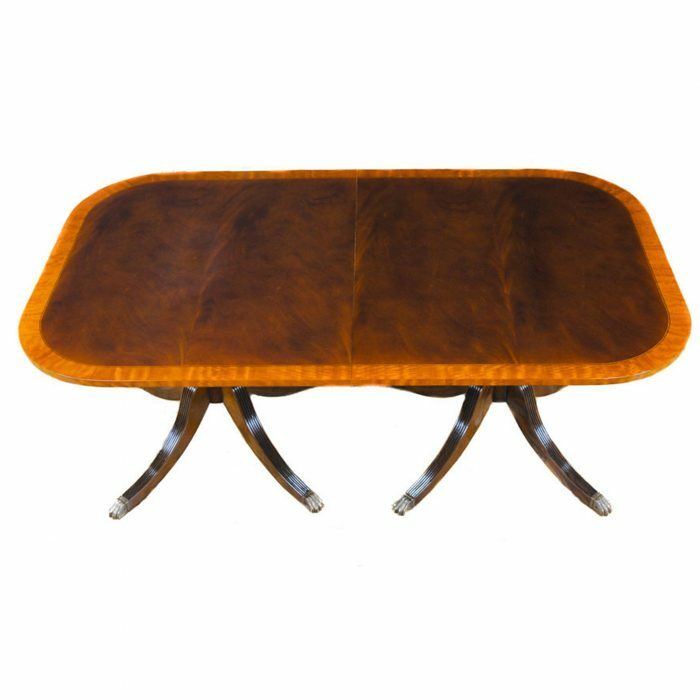 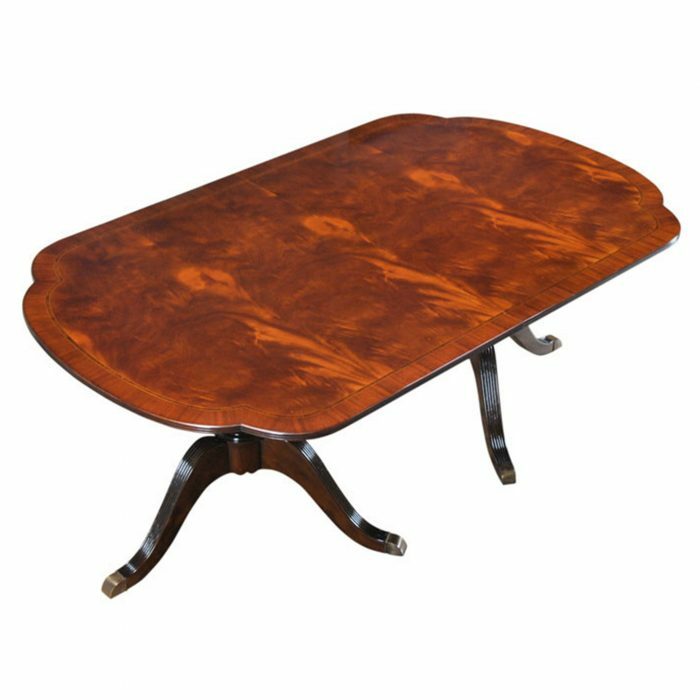 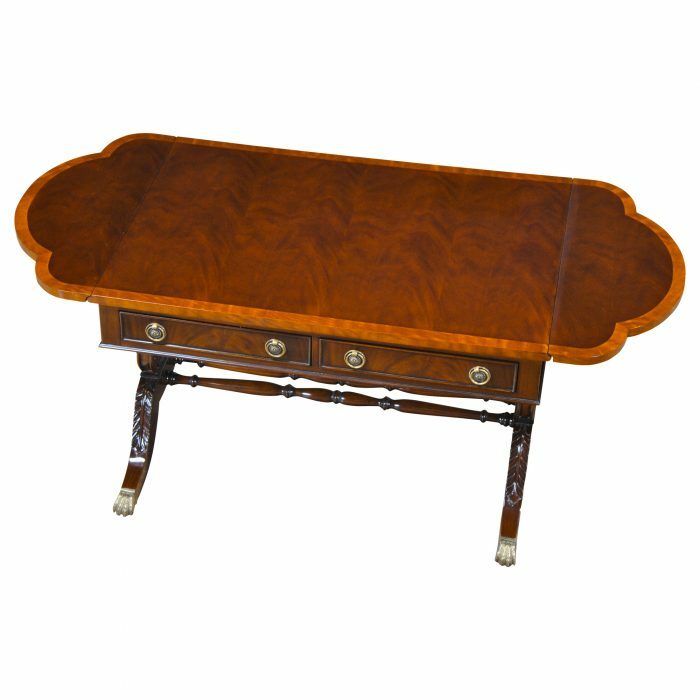 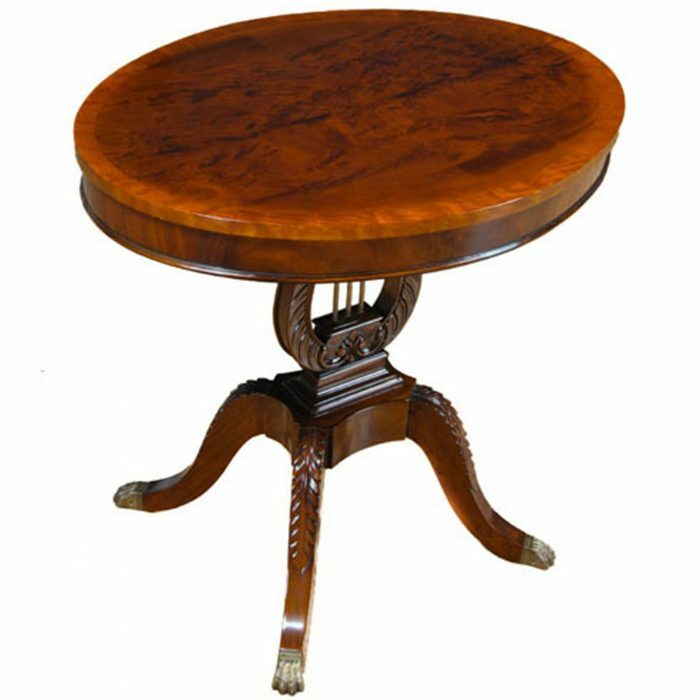 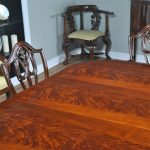 Starting with the bases which are hand carved from solid mahogany and capped with attractive brass feet this versatile table can be closed to seat as few as six people at 79 inches and can be extended with the three leaves to seat as many as twelve persons at 139 inches. 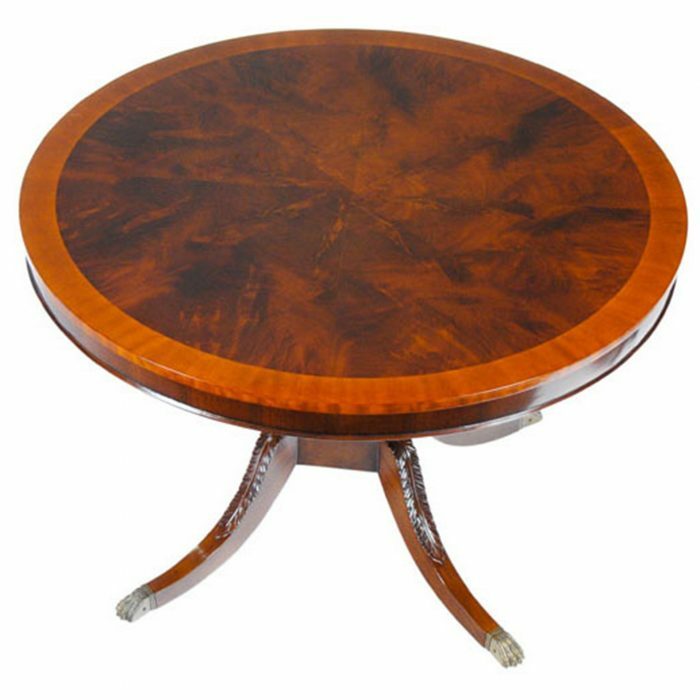 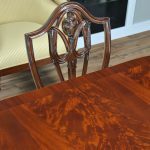 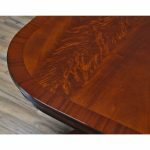 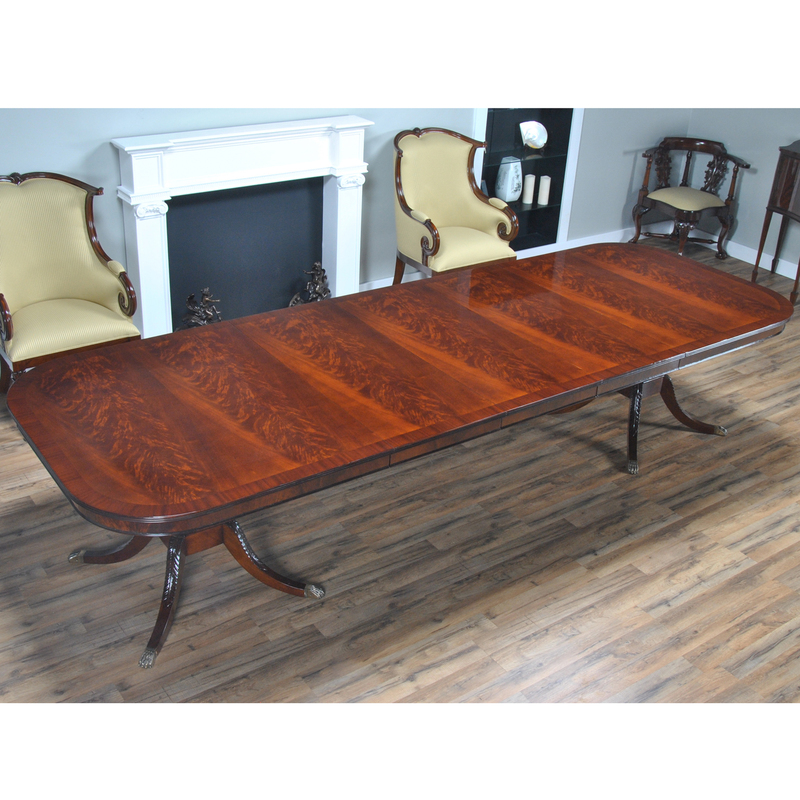 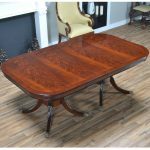 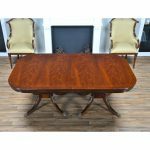 The Long Harp Base Dining Table top is created using fine quality select mahogany veneers for the field and sapele banding for the edge to produce a subtle and interesting color combination. The outside apron is a great detail feature adding depth to the table top.